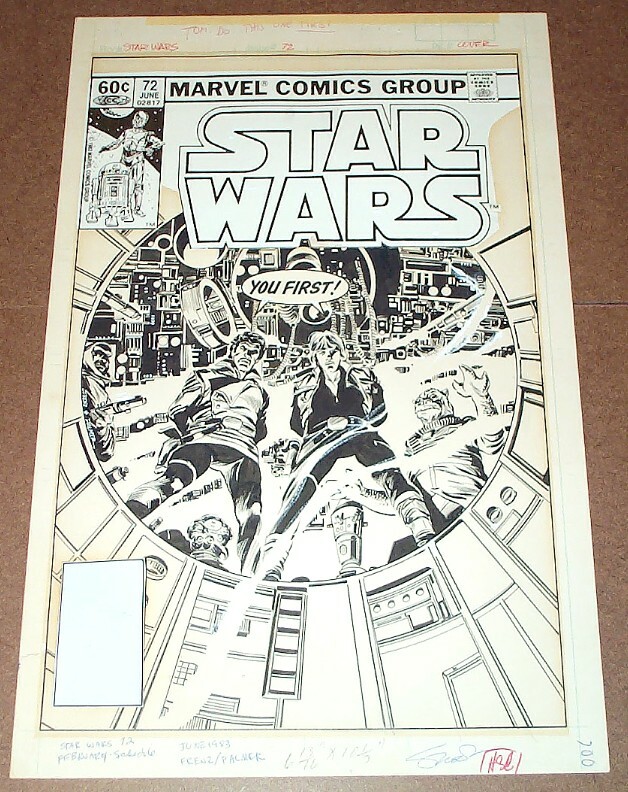 This is the original artwork to the cover of the Marvel Star Wars issue #72. The pencils were done by Ron Frenz. The inks were done by Tom Palmer. 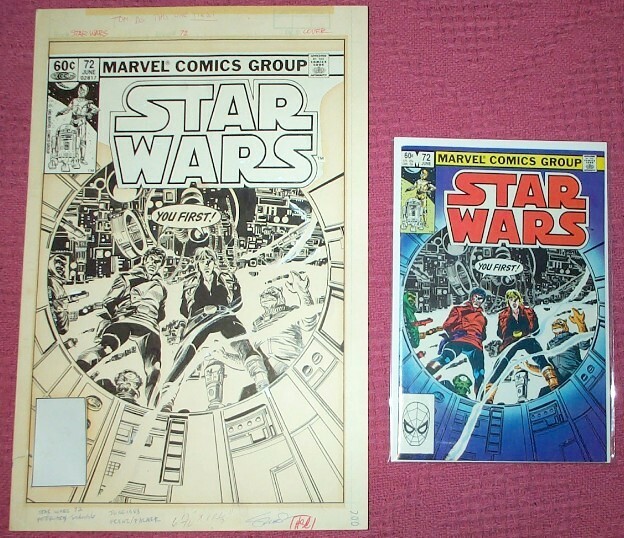 It is stamped on the back with a Marvel Comics Group 1983 copyright. Here is a look at the art compared to the comic. Here is a look at an early prelim to the cover art. Here is a look at the final cover art and the prelim together.